Home remedies for hair growth - which is the most effective? HomeHair loss treatment articlesWhat are the effective home remedies for hair growth? So you are interested in home remedies for hair growth? Hair loss is one of the major and most common issues among both men and women. 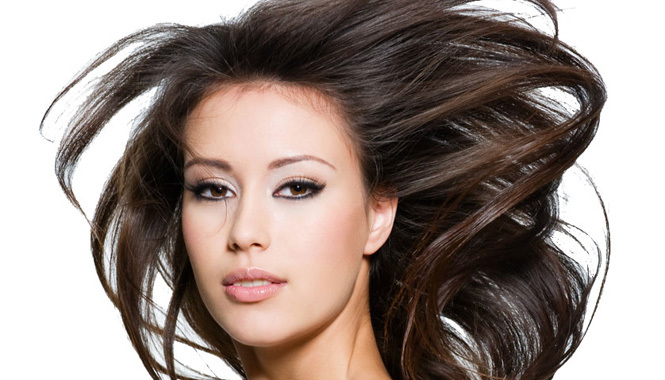 Everyone wants heavy and healthy hair even if you do not suffer with hair loss. There are various remedies, which can easily be done at home for good nourishment of your hair. You can prepare the mixture with a few drops of lavender essential oil, thyme essential oil, rosemary essential oil, cedar essential oil and an ounce of grape seed oil and 1 tsp of jojoba oil. The mixture should be stored in an airtight container and massage it on scalp every night. Essential oil is extracted from plants through distillation. Herbalists have used these oils for medical purposes for decades and now mainstream medicine recognizes their importance. According to a study by the Department of Dermatology, cited in PubMed indicated that this treatment is helpful in hair growth of alopecia patients. Mix a small amount of Nettle leaves with 2 cups of water and 2 cups white vinegar in a non-stick pan. Let it simmer for 2 hours and then cool the mixture and strain. Now mix 2 drops of essential Lavender oil and pour the mixture into a tight lid bottle. Massage it every other night on the scalp. It is good for thinning hair and stimulates thicker hair growth. Take 3 cups of water in a pan and add 3 tablespoons of chamomile. Boil and then simmer it for half an hour. After straining out the chamomile tea, let it calm. Then mix 1 tablespoon each of garlic juice, aloe Vera gel, honey, and 1 egg yolk. Massage this mixture on the scalp and cover head with a towel to set it for about twenty minutes. Wash hair with water (warm), and after that, give a final rinse with tea and leave it in your hair. Do it once per week. Take 1/4th cup of E oil, 15 drops each of rosemary essential oil and peppermint essential oil, 1/4th cup of jojoba oil, mix them in a small tight lid bottle and shake. Apply this mixture on the scalp every night. You can pierce Vitamin E capsules to get vitamin E oil. Add the juice of onion to your shampoo and keep it for 15 days unused. Then afterwards use regularly to get faster results of hair growth with natural shine. Another way to use onion is combine a half red onion with garlic cloves, about four of them with two cinnamon sticks. Bring all these ingredients to boil for 15 minutes. Now you need to rinse your hair with this mixture for four days regularly. Aloe Vera is a famous and widely used herb in modern shampoos as well because of its beneficial characteristics. Take 3 leaves of aloe vera and get their gel to mix with honey. Apply it on your scalp and leave for 20 minutes. You can also make it easy way of splitting the leaves and directly rubbing its gel on the scalp. Then leave it for a night and shampoo in the morning. Another easy way to develop hair growth is to massage your scalp with grapeseed oil at night and rinse your hair with a shampoo in the morning. Seems very common thing but it is actually useful. You should brush your hair regularly and thoroughly, since it stimulates blood circulation, which provides blood to your hair for healthy growth. The blood contains nutrients that help your hair grow faster. Again a simple yet helpful tip is to massage your hair for proper hair growth and improve their health. Massage with oil or even when shampoo your hair can stimulate your scalp and hair well. All these homemade remedies are easy to use and really helpful in bearing fruitful results for your healthy hair growth. Hormonal Acne – how to treat it?